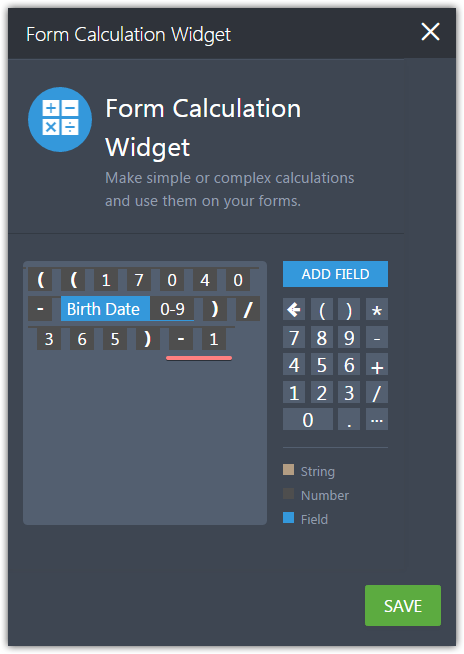 I would like to calculate a persons age on a particular date. IE. 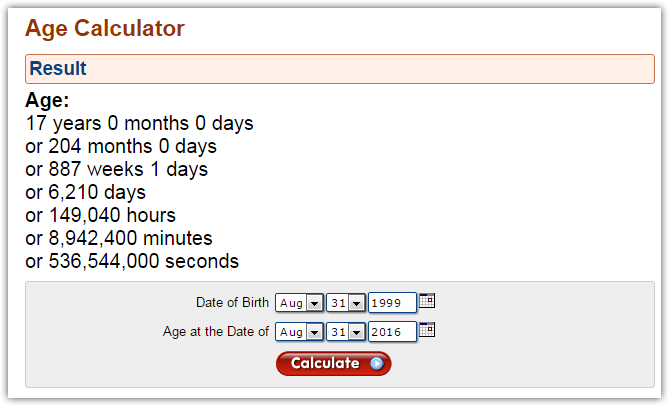 How old, in an integer was someone on 31/08/2016 ? Sure it's simple, but got a bit of brain fade at the moment. Your formula looks correct, the only thing I am not sure is the -1 operation from the calculated age. In case you need to round down calculated age (e.g. 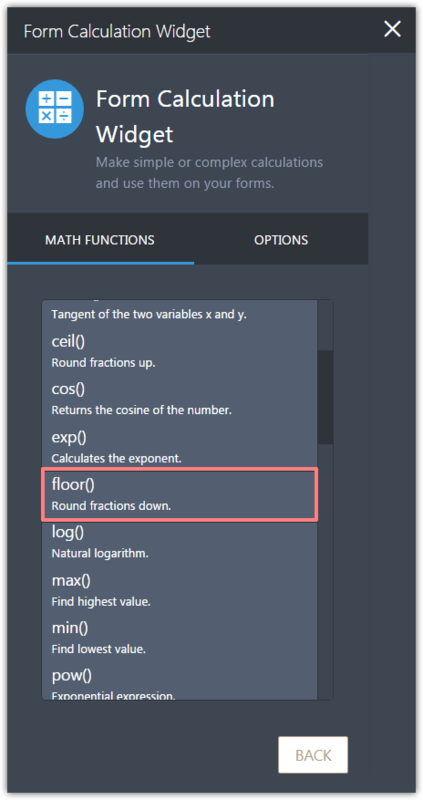 33.7 to 33) it is possible to use a floor() function in formula. As I said, I need to know how old someone was on 31/08/2016 form their DOB. It works fine for someone born in 1999 and some other years but not for all years. Could be a leap year problem? Just to make clear what I mean. 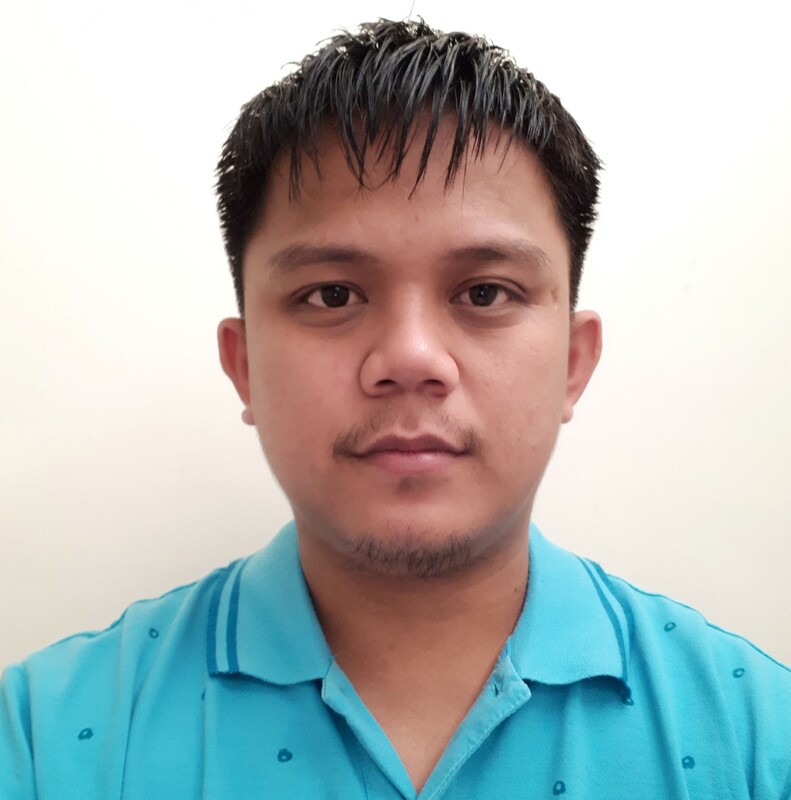 You may try the next formula for more precision result, where 17044 value represent the 31/08/2016 date. The 31/08/1999 DOB should give an age of 17 if I am not missing anything. One thing, the age returned on the 31/08/2016 should be 16 not 17. Just so you know what this is for. In UK Junior cricket, someone can play in an Under 16 league if they are 16 or under on 31/08/2016. Any chance you could amend. I think its to just change 17044 to 17043 ? I'm not sure if that will work, but please try it and let us know any instance that the method won't give you a correct result.